When it comes to adopting a child, prospective parents have a number of choices for how they should proceed. From domestic to international and public or private adoptions, the method you choose for how to grow your family can greatly affect the experience. Anyone seeking children for adoption may turn to a normal adoption agency in California. A is 4 Adoption recommends checking out our establishment first! Our adoption center aims to create personalized adoption plans to help everyone involved create a positive, caring environment for the child. When the time comes to adopt, many couples are inundated with different phrases and labels, all seemingly blending together to cause confusion. 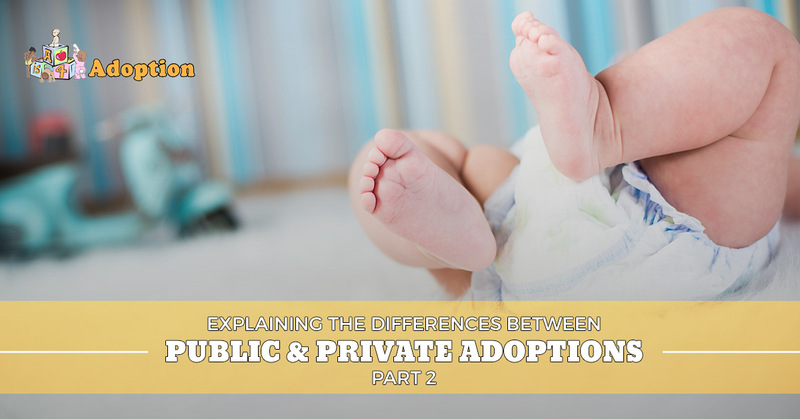 Today, we’ll continue to look at the key differences between public and private adoption methods, as well as how they can affect your plans. When you’re ready to learn more, be sure to contact A is 4 Adoption for assistance! This more modern approach to the adoption process is chiefly different from the public agency approach in that the birthmother has a choice in how they can put their child up for adoption. Adoption agencies and centers that work through this method tend to specialize in babies for adoption, as the demand and complications for newborns create a unique environment. Typically, an agency working in private adoption will work as a facilitator, providing support when needed to foster a smooth transition in a way that benefits all parties. Since the birth mother is voluntarily relinquishing her rights to the child, it is essential to provide a stable environment to keep her informed and positive about the entire adoption process. One scenario that many prospective parents fear is that the mother will change her mind and terminate the adoption plan that is in place. One major benefit of going through private adoption is the discretion at which the families involved can decide on the terms and conditions of the plan. Biological family contact, for example, may be a major part of contention, necessitating the need for mediation and compromise to create a post-adoption contact agreement (PACA). This level of contact can range from no contact whatsoever to visitations and more. Every situation is different, so you will need to discuss the subject with both the biological family and your agent. While the time required to successfully complete a domestic infant adoption varies greatly for each case, a common benefit for prospective parents seeking private adoption is the quicker turnaround time. The interest of private entities to help speed up the process, sometimes taking half as much time as foster adoptions. Statistics show that a public adoption ranges between one and five years to fully complete while private adoptions average between six and 12 months. Again, every single case is different, meaning you shouldn’t put all your eggs into one basket with the intention of having a wonderful new addition to your family by the end of the year. It’s crucial for prospective parents to weigh the costs and time expectations of private adoption before moving forward. One major benefit of private adoption is the level of support offered to both parties. With private financing, adoption centers and agencies are able to offer comprehensive birth mother help, from counseling to prenatal care and beyond. Mothers who are making this loving sacrifice deserve the best services, which is why entities such as A is 4 Adoption strive to deliver help whenever possible. Working with a private entity is also beneficial for the legal requirements surrounding domestic adoption. Oftentimes, an attorney will be present to represent both parties with the intent of minimizing complications. Once the baby is born, papers can be signed and the individuals included in the process can breathe easy knowing that they finally completed their adoption process. Our organization sets the standard for birth mother support, including nutrition and transportation to ensure a happy and healthy pregnancy. We also provide 24/7 care in case any emergency arises. With quality advocacy and supportive counseling, everyone is sure to benefit from our top-notch services. If you are considering adopting a baby, A is 4 Adoption is here to help! We are a private adoption center that prides itself on delivering personalized care at every stage of the process. Anyone looking for an adoption agency in California will be pleased when they turn to our services instead. If you’re interested in learning more, feel free to contact our advocates today!